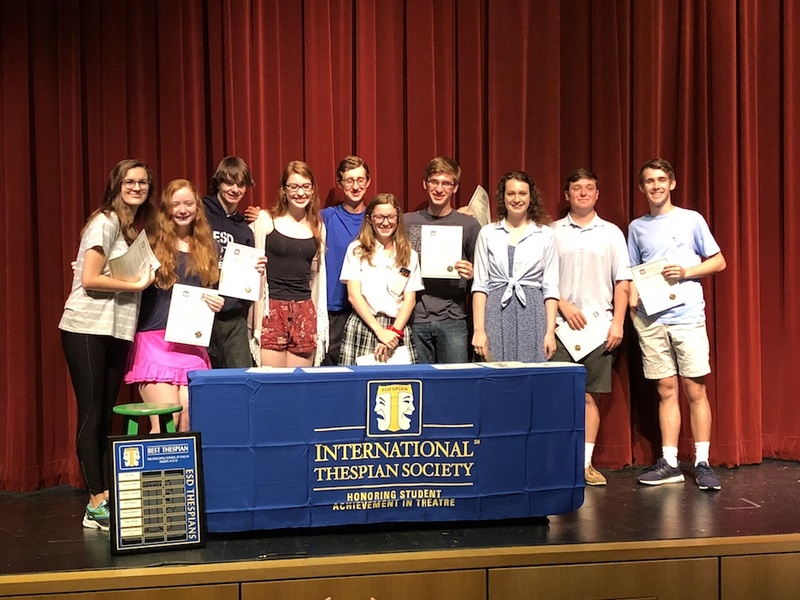 This morning, 16 students were inducted into the International Thespian Society. This organization is a highly regarded honor service fraternity for theater students worldwide and represents a student’s dedication and commitment to their theater work. Each new student member, who had to be nominated by their theater teachers or directors, has completed a minimum of 100 hours of work outside of classes over two productions, met community service requirements, and are in good standing with the school. Congratulations to Jack Beck ’21, Julia Beckel ’18, Harrison Frazar ’18, Lilly French ’19, William Hargrave ’19, Allison Herring ’19, Emma Jerrier ’21, Daniel Kaplan ’20, Arthur Lindh ’20, Maggie Lipscomb ’19, Cole Nugent ’19, Taezja Phelan ’19, Grace Thomas ’20, Maddie Tong ’19, and Ella Varel ’19 on this impressive achievement!